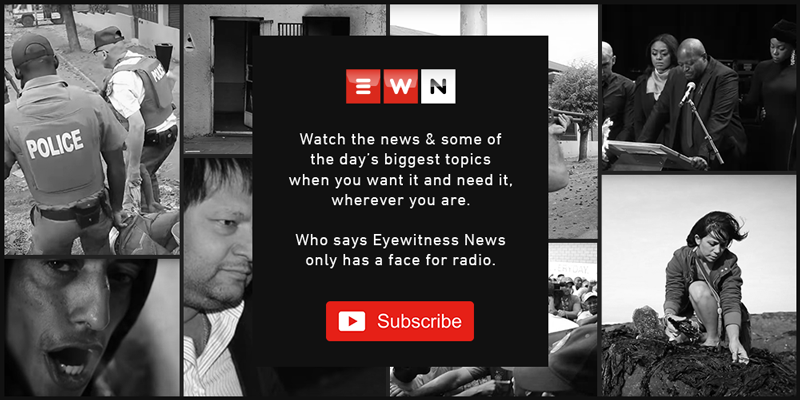 Eyewitness News has focused in some detail over the past few weeks on the issue of micro-lenders, or more aptly loan sharks, who prey on the most vulnerable members of society. The minister of Trade and Industry called a special media briefing in Parliament to express his concerns about how the mineworkers at Lonmin's Marikana operations had been targeted during their protracted strike action. His briefing coincided with the SA Social Security Agency's call on the public to report micro-lenders who lie in wait at pension payout points and virtually leave grant recipients penniless once they have collected their debt - charging exorbitant interest rates in the process. And as if by design, Eyewitness News received a tip-off from a resident in Elsies River on the Cape Flats about a loan shark who the whistle-blower claimed does exactly that which SASSA had warned against. It took us a few weeks to track down the woman, because the tip-off came just after grant collections for that particular month. At the beginning of November, one of our reporters went to the pension payout point and sure enough, there was the alleged loan shark, sitting in her car. The make, colour and vehicle registration matched the information that our whistle-blower had provided. But upon confronting her, the woman was adamant that she was a do-gooder who provided basic necessities like meat and electricity to grant recipients during those lean times of the month and charged a nominal fee of R20 per transaction. She showed the reporter her books, but apart from lists and lists of amounts totaling R500 in some cases, there were no additional details to back up her assertion. The majority of the people who had been queuing next to her car also insisted that she was not a con artist, but rather their saving grace when times are especially tough. When my reporter fed this information back to me, I couldn't help but draw a parallel with the relationships in gang-infested areas between some residents and their local gang bosses/drug lords. It's a well-known tale that gangsters exploit people's poverty by 'buying' their loyalty through the provision of basic necessities. This could be anything from a loaf of bread for a family who doesn't know where their next meal is coming from, to pre-paid electricity when there is none. In return, these 'Good Samaritans' know they can call on their 'beneficiaries' when they need help hiding their contraband or a witness to testify on their behalf. They are also assured that there will be no 'snitching'. It's no wonder then that the police struggle in so many communities to get people to speak out against known criminals; although, to be fair, this isn't the only reason why communities do not speak up. Not all of them are 'bought' into silence. There's also a very real threat of being killed if they do. I read an article a few years ago about a teenager in Lavender Hill who was offered money to play soccer in a Sunday League run by the local gangs. These 'leagues' are one of the methods of recruiting gang members. He knew exactly what he was letting himself into, but as he said in the article, the R150 he was being paid per game went a long way in his home where not a single person was gainfully employed. So how do I conclude that what I've just described can in any way be compared to the psychological phenomenon known as Stockholm syndrome, where captives "express empathy, sympathy and have positive feelings towards their captors, sometimes to the point of defending them"? I do not for a moment believe that the people on the Cape Flats and other marginalised societies, who fall for the wiles of the neighbourhood thug, do not know the true character of the person. However, in a country where so many people feel let down by the government and the 'system' and are really in the most desperate of situations, can one blame them for being attracted to those who are willing and able to meet their needs? I suppose a similar example would be that of the person who tries to live his or her life as honestly as they can, but is driven to shoplifting by the sheer desperation for something as basic as a slice of bread. So, as much as those of us who are more financially 'independent' might deplore the actions of the loan sharks who exploit the poor and the elderly, for the 'victims' the loan shark is the one person they can turn to for help, because sadly, they simply do not meet the criteria of the more established financial institutions. Janine Willemans is the EWN Editor in Cape Town.